Have you ever dreamed of being out on the green? The light breeze coming in from behind you. A putter held in your hand. Getting into the perfect mindset so you can gently tab the pock-marked ball into the cup. Sun high, without a cloud in sight. Yeah, we’ve had that dream too. But then we realized we don’t actually know how to golf, well, except for on the Wii. If you are like us, the kind of person who practices their swing with an imaginary club, you might want to experience the high life through golfing. But before you go out to try your hand at a real hole-in-one you need to look the part. 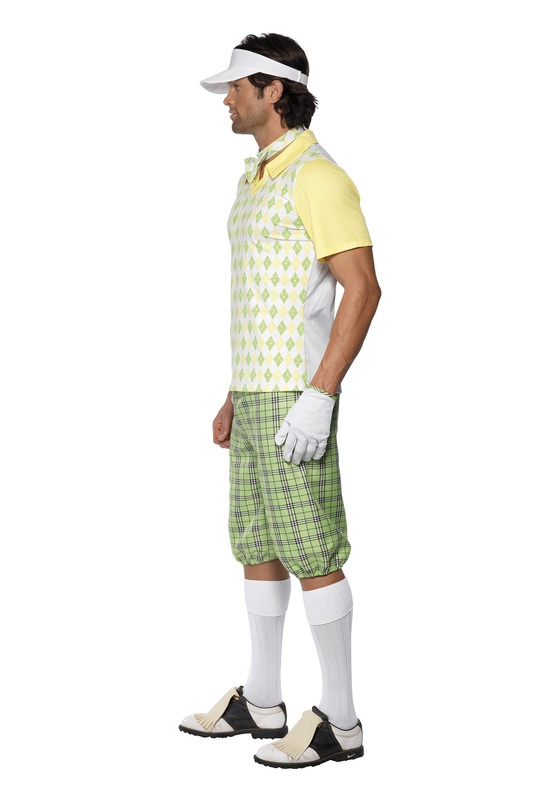 You need to look like a real golfer. We studied the attire of Arnold Palmer, Tiger Woods, even watched the Legend of Bagger Vance again to really understand what a golfer should dress like. 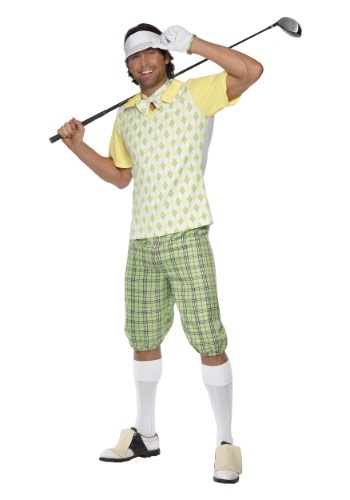 This Men’s Gone Golfing Costume is what we’ve come up with. 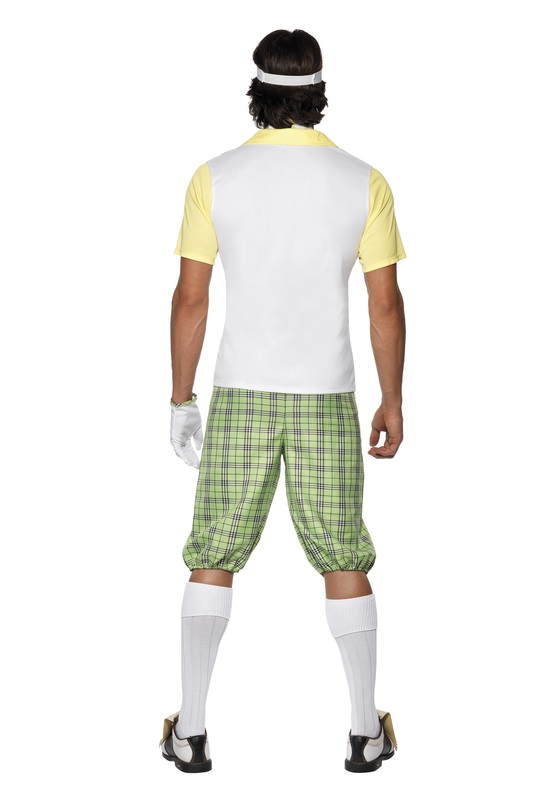 It is perfect for the novice golfer, the one who is sure to be shushed a time or two on the course. The plaid shirt and single white glove are the quintessential elements of all golfers. Just try not to wear your football cleats out on the green, the guys get angry when the turf gets all chewed up by them.